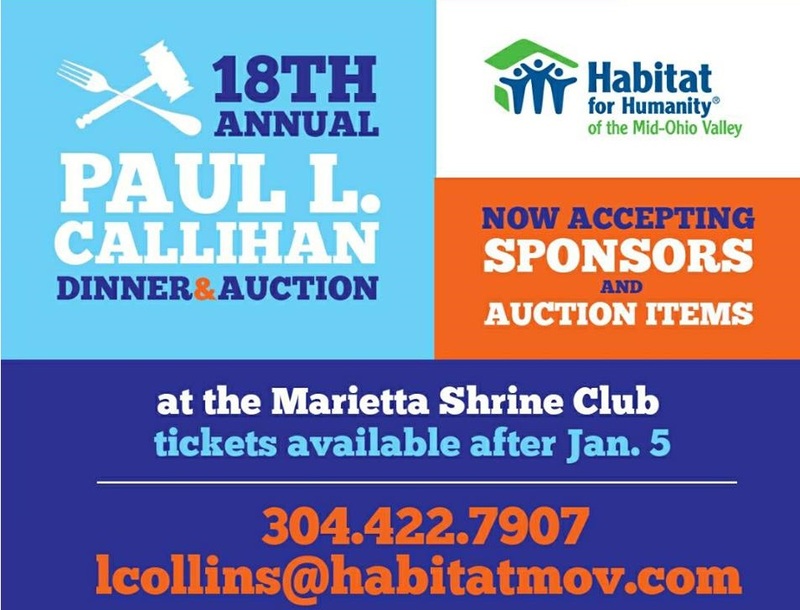 Join us for the 18th annual Paul L. Callihan Auction to benefit Habitat for Humanity MOV! We will enjoy dinner catered by Cowboy Concessions, featuring prime rib, chicken or vegetarian lasagna, cash bar, and both silent and live auctions. We plan to have about 150 auction items this year, with several unusual items you won’t be seeing at other events! It’s a fun, casual evening, with a goal of raising funds to assist with the FOUR homes we have in the works in Washington County this year! Tickets are only $30, or two for $50,and we have 225 seats. Purchase tickets here. Major sponsors of the evening include our signature sponsor, SOLVAY, as well as Managers Resource Group, Peoples Bank, Erie Insurance and American Producers. 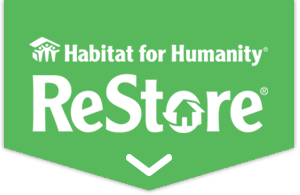 They’re starting us off on the right foot – a HUGE thanks to these Habitat supporters!! Get yours quickly – we sold out last year! We look forward to enjoying an entertaining evening with you at the Shrine Club in Marietta.